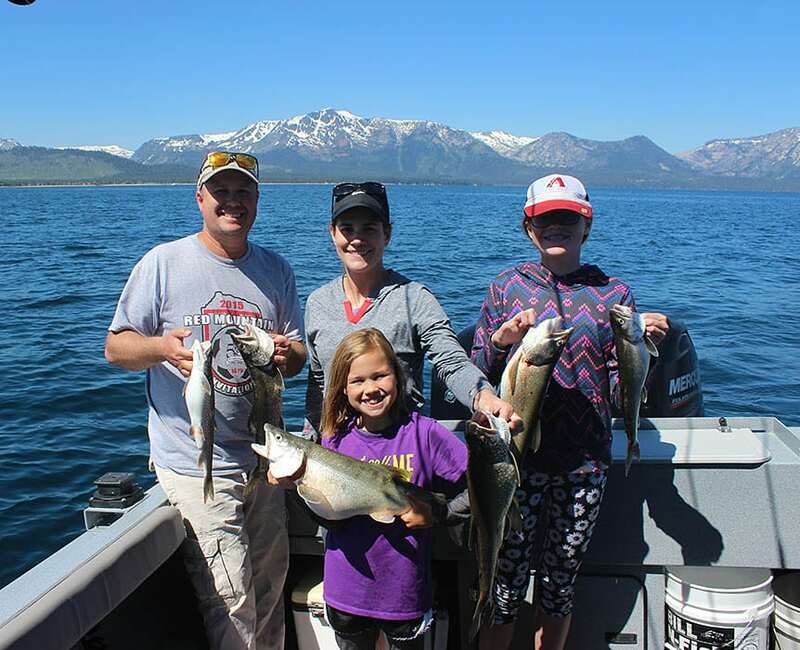 Experience the best in Lake Tahoe Fishing Charters. Mile High Fishing Charters offers year round fishing trips on one of the Seven Wonders of the World! Lake Tahoe is known for its majestic beauty, clear water and fresh air. But did you know it also sports great fishing. Don’t settle for a large party boat atmosphere. Fish Lake Tahoe on the newest finest guide boat. Fishing Tahoe light tackle jigging is the most fun. You do the fishing on Lake Tahoe for the entire trip. Fish with the best on Lake Tahoe. Call now for a reservation. A family owned and operated business, Mile High Fishing provides the finest fishing adventures imaginable thanks to our commitment to quality service and our expert fishing guides. All of the Mile High fishing guides are Master Guides in California and Nevada that have their Coast Guard Captain’s licenses, ensuring you are in great hands. 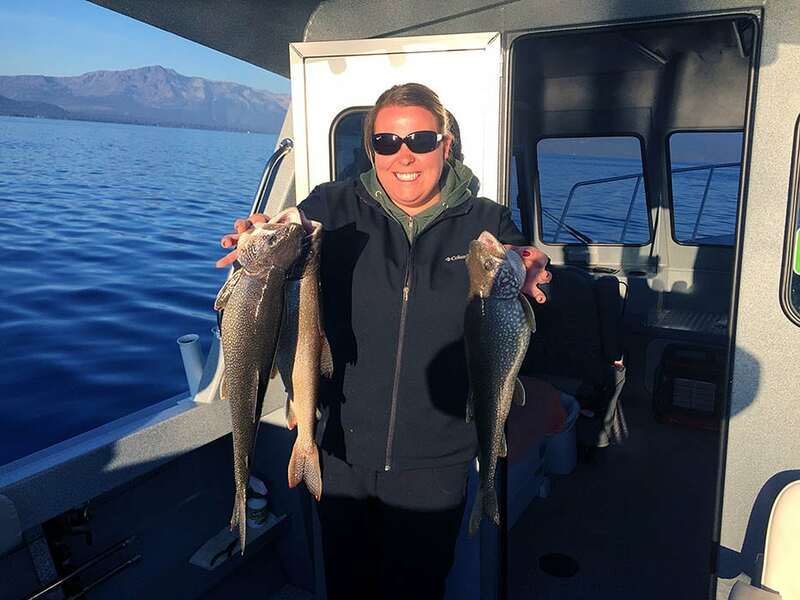 Our boat is captained by a Lake Tahoe native that knows all of the best fishing locations and surrounding streams of Lake Tahoe, while the boat itself is equipped with state of the art fishing equipment. With all the latest electronics from Lowrance and a heated cabin, our incredible 26′ Tahoe fishing boat allows you to reliably fish in style and comfort. As such, it has never been more enjoyable to land a big fish on the picturesque waters of Lake Tahoe.